Infield Safety is a manufacturer of tailored, high quality prescription and non prescription safety spectacles and customised hearing protection. 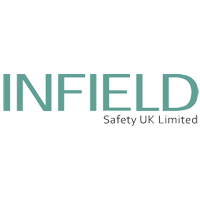 Since its inception in the 1990’s, Infield Safety has specialised in all issues concerning vision in the workplace and has been a major presence in the market for personal protective equipment products. Infield Safety is a market leader in Germany and since arriving in the UK has been growing from strength to strength putting great emphasis on both safety and functionality & design in the manufacture and development of safety spectacles. Infield Safety is a member of the Essilor Group, the global market leader in spectacle lenses. The success of the group which operates in over 100 countries, is based on and old unbroken strategy of ongoing development for more than 160 years. 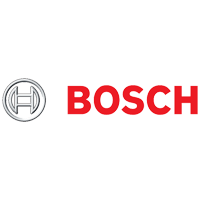 Bosch Professional Power tools and Accessories are an established manufacturer with a long heritage in premium quality tools within the construction trade and industry. Our goal is not only on providing superior productivity and efficiency to the professional trades person but upgrading the user with the integration of smart technology and a strong focus health and safety. 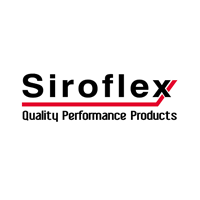 Siroflex Limited was established in 1994 and is based in Barnsley, South Yorkshire. We are one of the UK’s leading suppliers of silicones, sealants, adhesives and foams. We offer a wide range of products in both our own brand – SX Trade Strength as well as private label brands. These are specifically manufactured to cater for both the trade and DIY retail market sectors. Our national delivery service throughout mainland UK will meet order requirements within 72 hours from acceptance of an order. Our dedicated team are on hand to provide you with technical support and first class customer service. We are committed to offering our customers the highest quality products and services at the most competitive prices in the UK market. 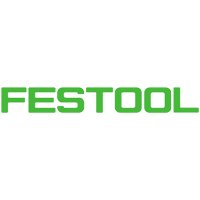 Festool develops top quality power tools for professional tradesmen. Produced to cope with the toughest demands, Festool offers a range of tools including plunge cut saws, jigsaws, sanders, drills, routers, dust extractors and an extensive 18V cordless range to name a few. Since the founding of the family business in 1925, quality and innovation have been the highest priorities. Festool represents quality and with over 90 years of experience in the manufacture of power tools Festool also provide an outstanding ‘Service All-Inclusive’ support package that includes 3 years warranty (including batteries and wear parts), theft insurance, 15 days money back guarantee and a promise to have spare parts availability for at least 10 years after the last date of manufacture. MetalMate Fasteners, TimberMate Screws, MasonMate Fixings, TIte-Range Specialist Screws and Hardman Hand Tools. In 1867, Wilhelm Emil Fein founded a company to manufacture physical and electrical equipment where his son Emil Fein invented the first electric hand drill almost 30 years later in 1895. This invention paved the way for highly reliable power tools, which FEIN still manufactures at its site in Germany and for which the long-standing German company is known in industry and manual trades throughout the world to this day. 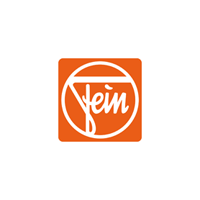 FEIN has been a world-leading power tool manufacturer for over 150 years and without a doubt one of the main reasons for this is that FEIN continues to meet its own standard of only developing durable power tools with every new product innovation it creates today. 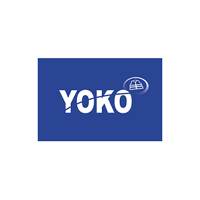 YOKO is renowned as the high visibility workwear brand. We provide brighter workwear solutions with our extensive collection from stock in vibrant designs and high quality to ensure your professional corporate image and stylish personal protection in all environments. Moldex is a leading manufacturer of hearing and respiratory products. Our products are created with the concept of making PPE easier, safer and more comfortable for the end-user by using innovative ideas and technologies. 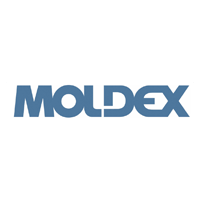 With huge emphasis on R&D, Moldex are continuously developing new ideas and technologies. A key factor to our success lies in attention to detail both in product development and process technology. 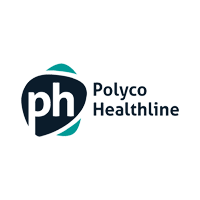 Polyco Healthline combines the 85 years’ expertise of two leading businesses, who provide protection and hygiene products and services in the workplace and home. 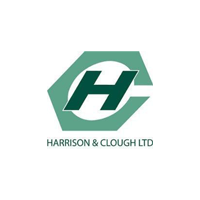 Our wide range and quality products– including re-useable and disposable gloves, workwear and bags– is trusted and used by multiple sectors throughout UK and overseas. From our state-of-the-art warehouse and laboratory testing facility in Lincolnshire, our expert teams drive research & development and maintain logistics and customer service levels to ensure just-in-time supply. Designing, sourcing, licensing and selling products, we optimise every step across the global supply chain. We innovate in partnership with commercially-minded businesses to overcome their biggest challenges and to ensure a greener and safer environment. Together, we are the Masters in Safe and Clean. 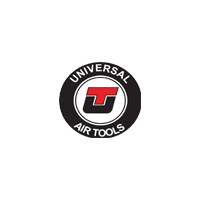 Universal Air Tool Ltd is recognised as the UK’S leading Air Tool company suppling specialist high Quality Air Tools to the Garage, Tyre, Body-shop and Industrial markets. Universal Air Tools are proud to be associated partners of East Coast Sales Ltd. For over 23 years we have been supporting them to supply an exceptional service and high-quality Air Tools to the Automotive and Industrial markets. We offer exceptional after sales service and support with straightforward repairs and warranties. UT-AIRCAT is recognized worldwide as a mark of air tool quality which helps East Coast Sales to sell our product overseas. Universal Air Tool Company will continue to help and support East Coast Sales Ltd supplying top quality UT-AIRCAT branded tools. When it comes to choosing the best brand for tyre inflation and compressed air products PCL provides an unbeatable package. 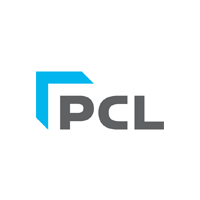 PCL are recognised as the global market leader in the design, manufacture and distribution of the most advanced and comprehensive portfolio available, PCL remains true to its ethos of quality products and exceptional service. As a wholly owned subsidiary of HORN GmbH Co. KG, PCL is part of the HORNGROUP of companies. Leo Workwear have specialised in the design and manufacture of high visibility clothing for over 35 years. We have used the knowledge and expertise gained over this period to create one of the most comprehensive and exciting high visibility garment ranges available in todays’ European PPE market. 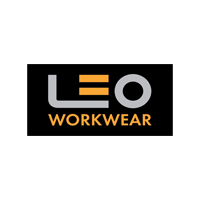 At Leo Workwear our vision is your visibility; we care about wearer safety and wearer satisfaction which we achieve through garment performance, durability and styling. We’re always looking to “what’s next” in fabric innovations and reflective tape technologies, whilst also ensuring that we’re continually evolving our existing product range through upgraded fabrics, better components and improved garment construction. Probe have been manufacturing Lockers and Steel storage cabinets in the UK since the 1960’s and offer Lockers for all uses – Schools, Industry and Office Use. Choose from Steel, Laminate door and Waterproof Plastic lockers – some with self-contained charging points for Laptops, Tablets or Power tools. The Probe range of Cloakroom equipment including single and double sided benches with options for clothing hooks, captive garment hanging, under bench shelving or wire mesh shoe baskets. 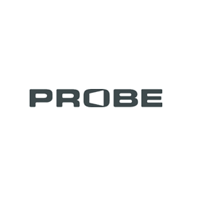 Probe also manufacture a wide range of Commercial and Industrial range of metal storage cupboards, plus a complimentary range of COSHH cabinets for storing Acid, Flammable, Hazardous and Toxic Substances as well as Medical supplies and PPE equipment. 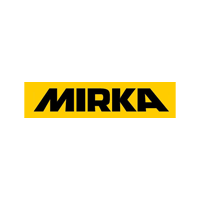 Mirka is a leading manufacturer of innovative tools and abrasive solutions, including the award-winning DEROS sander and versatile Abranet® abrasive range. When combined, these products provide the user with a dust-free work environment. 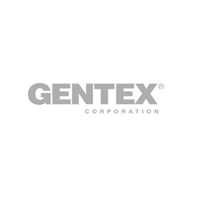 We are committed to providing a wide range of versatile, high quality products that anticipate and meet the requirements of our customers to achieve effective results without wasting time or resources. Our dedicated R&D department in Jeppo, Finland is constantly challenging the industry to identify new opportunities to develop innovative products that put performance, efficiency and versatility at the forefront of their design. Our business commitment also extends to provide our customers with a full support service that includes technical training programmes to help improve users’ understanding of our products, so they can maximise the benefits when they use them. 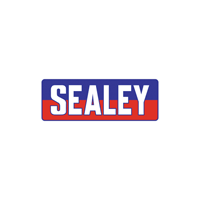 Since 1979, Sealey have been providing customers with the best value, the best products and a service that is second to none, becoming one of the largest tool and equipment suppliers in the UK and recognised as a leading brand by professionals and enthusiasts alike. Sealey continually strive to improve their product choice, investing in the latest technology and introducing new and innovative tools & equipment into their range. The warehouse facilities and their service centre gives a total of around 400,000sq ft of space, allowing high stock levels of over 9,500 products and 165,000 different spare parts for both existing and discontinued products. In addition to their mainline products, Sealey also have an extensive range of over 2,000 consumables. Previously CCA Products, the reputation of Chemsplash is built on the consistent high level of quality of it’s products along with it’s technical expertise. 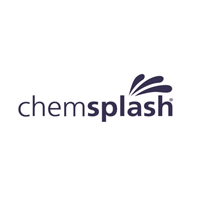 Making the most of the huge wealth of knowledge provided by over thirty-five years of manufacturing, Chemsplash now boasts a strong and diverse product range including Disposable Workwear, Cleanroom Clothing & Conservation Products. Chemsplash produces a range of disposable coveralls encompassing Protection Types 3,4,5 & 6. Using light and breathable SMS fabrics as well as microporous laminated fabric of varying GSM weights, the Chemsplash disposable Coverall range provides suitable protection against everything from asbestos dust to chemical spray permeation. Chemsplash fabric has been shown to out-perform the market leading fabric in a number of tests. We offer an unrivalled choice of floor level safety products from workplace matting to bespoke entrance matting systems. ‘More than Just Matting’, our range also encompasses ancillary products such safety knives, rubber sheeting and even PVC strip curtains. 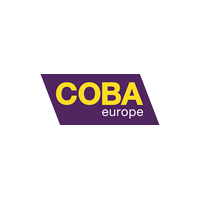 COBA celebrates 50 years in business in 2016. This is a significant milestone for the COBA group of manufacturing and distribution companies. Our knowledgeable teams in offices throughout Europe and South Africa are here to help you make the right decision. We can provide free product samples and conduct site surveys. We also have a helpful after-sales Customer Service team. If you have a query, we confidently answer it. 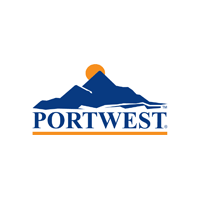 With over 114 years of experience and a heritage of quality, value and service, Portwest is firmly established as a world leader in the design and manufacture of stylish, comfortable, high-quality workwear that meets recognised international standards. Our extensive collection protects people all over the world in diverse industries such as oil and gas, welding, mining, agriculture, chemical, construction, warehousing, manufacturing and much more. Portwest’s contemporary range of workwear blends dynamic designs with function, a modern fit and improved comfort. Utilising premium fabrics and advanced construction techniques, products are engineered for flexibility across a diverse range of industry and offer exceptional value. Experts in Workwear, Rainwear, High Visibility, Gloves, FR, Safety Footwear and PPE with 1300+ products to choose from. 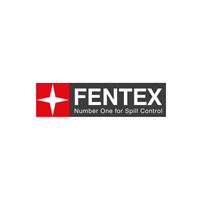 Our brand is synonymous with providing the highest levels of protection for personnel working in hazardous situations. PureFlo industrial respirators are among the highest-performing and most cost effective protective systems available on the market today. Proven and used throughout the world in a wide variety of heavy and light duty industries, and by numerous multi-national organisations, our wide range of respirators can be configured to match your exact needs. 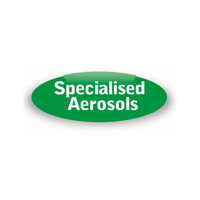 Specialised Aerosols has for the last 47 years been a leading manufacturer of stock and bespoke bulk chemicals, covering the engineering, automotive, food and catering industry. This includes cleaning and maintenance products and we are possibly one of the largest suppliers of own label aerosols with a facility to manufacture products to our customers’ individual requirements. We also offer a free artwork mock-up service to allow our customers to view potential own label designs. We have recently launched a range of NSF Registered Food Grade Lubrication products in aerosol using only FDA listed ingredients and have added a range of Hard Surface Cleaners, Sanitisers and CIP cleaners designed for food related industries such as high and low care food production areas, warehouse/ cold room areas and food delivery vehicles. 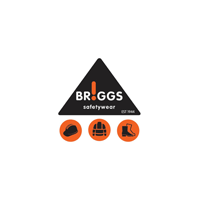 Briggs Safetywear was established over 70 years ago, selling workwear and safety footwear through carefully selected trade resellers in the UK. We are wholesalers for Cat, Dr Martens and our own brand of Himalayan safety products. The Himalayan brand is used and trusted by some of the largest employers in the UK. Briggs are proud to deliver outstanding customer service and products with both style and quality, but without the high price tag. When considering your safety products, be sure to put Himalayan on your list, and join the many thousands of UK customers who trust our products to keep them safe at work. 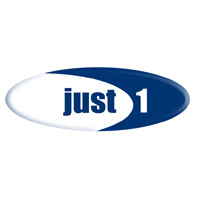 Just 1 Source & Supply Ltd (J1S) offer a complete range of fully tested high quality work gloves at great value for money, with many of our designs now recognised as the standard in the market place today. Our brands are; Predator and Coloursafe incorporating Watersafe. Our uniqueness and technical support also enables us to specify and design bespoke products for any type of application. Our factories are Sedex Members and ISO 9001 approved, with all products introduced to the market compliant with the current PPE EU Standards. J1S are also Members of BSIF confirming our commitment to the continued development of excellence. Focused on innovation and quality, ATG® designs, develops and manufactures gloves that enhance the performance of the most sophisticated work tool, the hand. We believe in keeping it simple and offer just 4 brands that are skin friendly, extremely comfortable and highly durable. All our gloves are dermatologically accredited by the Skin Health Alliance and are post washed prior to packaging enabling us to guarantee them “fresh out of the pack” as certified according to STANDARD 100 by OEKO-TEX®. All ingredients used in the production of our gloves are according to REACH and none of our product contains SVHC. 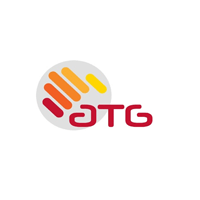 In an industry driven by outsourcing, ATG® is a traditional manufacturer that uses the very latest technologies to deliver class leading gloves. We do everything ourselves and guarantee that nothing is outsourced! 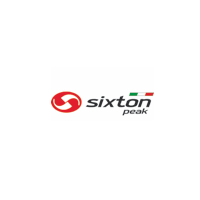 Made in our integrated factory in Padua, Italy, Sixton Peak® safety footwear evolved from the passion and experience of over 25 years of work in the safety footwear industry. Research, design and innovation are always our main focus which enables us to guarantee that our products are of among the very best on the market. Meticulous attention to detail and the use of only the best high-tech materials are the hallmark of Sixton Peak®. All footwear is manufactured with cutting-edge technologies, ensuring continuous control of every single phase of the manufacturing process. Ongoing collaboration and research with market leading footwear component brands such as Huntsman®, OutDry®, Vibram® and L-protection® are your guarantee of the highest standards of quality, performance, comfort and safety of every piece of Sixton Peak® safety footwear. Sixton Peak® is synonymous with comfort and performance, ensuring safety of movement in all workplaces. We aim to assure the health, wellbeing and comfort for all types of feet…….even the most demanding! SAIT abrasives, founded in 1953 manufactures professional, industrial quality grinding and cutting discs as well as paper, cloth, fibre and non-woven products. These are available in many different formats such as sanding discs, paper discs, hook and loop discs, flap discs, flap wheels, rolls, belts, wide belts, interlined sleeves, sheets, along with diamond products. Each of these in turn are offered in different abrasive types and grit sizes suitable for all types of industries working with all metals, wood, composites, stone and marble. 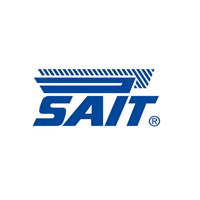 By specifying SAIT products you are literally safe in the knowledge that the product range is manufactured to the latest international standards. Trade range products – aimed at the building trade, the product range is optimised for increased productivity and maximised profitability for onsite routing and joinery applications. Craft and home DIY (Do It Yourself) – suitable for a range of DIY users from first time users to craft enthusiasts. The range is priced to offer a high quality product that is affordable. 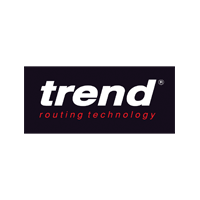 As well as a comprehensive range of router cutters, Trend has also developed a range of custom jigs to enable customers to achieve routing tasks that would normally require much more specialist machinery. Examples include worktop jigs for kitchen fitting, mortise and tenon jigs for joinery applications, letterbox jigs and hinge jigs for door hanging. Trend also offers a full range of routing accessories to provide the customer with a “one stop shop” solution to their routing needs. 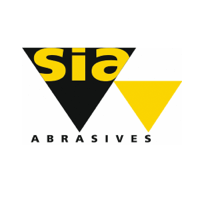 Sia Abrasives is one of the world’s leading manufacturers of industrial abrasive products. Headquartered in Frauenfeld, Switzerland, Sia Abrasives ranks amongst the world’s top three suppliers of innovative abrasive systems and employs some 250 people in the UK and over 1200 people around the world. It develops, manufactures and distributes complete abrasives systems, including custom-made processes for specific requirements and applications, for surface finishing on work pieces of all kinds. It matches its market leading products with ‘best in class’ customer service & technical support. Sia Abrasives’ products are available via our same working day despatch service for next working day delivery for stocked products. 2018 celebrates Sia Abrasives 50th year supplying UK manufacturing with high quality abrasives and surface finishing solutions for all industries.